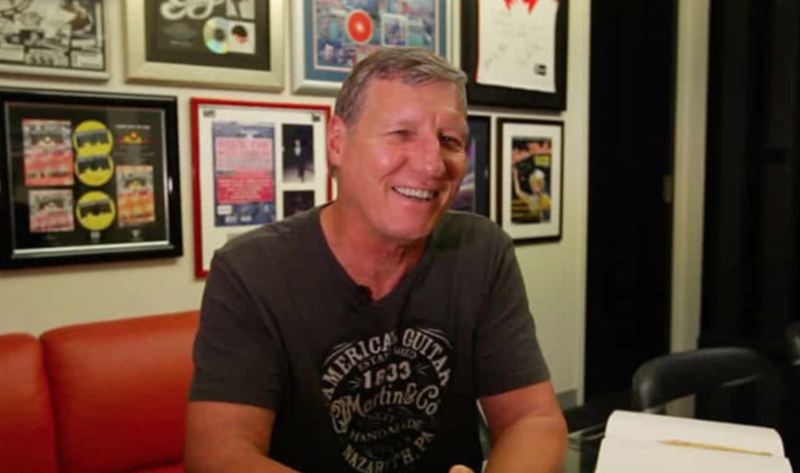 The highly respected manager and promoter, who came up with the idea of the record-breaking CMC Rocks festival, died in a motorbike accident in 2017. He passed just as CMC Rocks began to be a regular sell-out and singer-songwriter Morgan Evans, whom he managed, started to make waves globally. Evans was the latest global name that Potts championed after moving from Hobart to Sydney three decades ago. During his career, Potts discovered and booked Keith Urban, Tommy Emmanuel, Lee Kernaghan and James Blundell. Through his company Entertainment Edge, he opened up the Nashville touring circuit, bringing to Australia superstars as Brooks & Dunn, Tim McGraw and Faith Hill, Alan Jackson, Toby Keith, Dixie Chicks… and in 2009, a pre-superstar Taylor Swift. This, in turn, opened up the US and UK country scenes to Australian talent. The tours and CMC Rocks were staged in partnership with Chugg Entertainment. Chugg declared himself “so proud and very pleased” of the recognition for Potts, adding: “Rob Potts is a shining example of everything that is wonderful about our industry. “For many, many years he led the battle to break Australian country music in Nashville and became a board member of the Country Music Association of America. Emmanuel sent a message about the award, “He certainly deserves it and I personally thank him for all he’s done to build the bridge between Australia and the USA in country music and its great artists. Evans added: “Rob believed in country music and its power to connect with people. “He had a vision for it and a passion for it that was unwavering. Over the years we worked together I watched him, meeting by meeting, tour by tour, and year by year at the CMC Rocks Festival, build the bridge from Nashville to Australia, and in a lot of ways to the rest of the world. “I’m still humbled that Rob’s passion for country music extended to me and my music in particular. “I’m forever grateful for everything we got to do together, and even more so that we got to spend so much time together doing it. The Music Vault in Melbourne will also put on a special display around Potts’ legacy. Arts Centre Melbourne CEO Claire Spencer said: “He was a true pioneer working against the tide of ‘90’s rock music to develop and raise the profile of country music in Australia. Potts will be given the award at the APRA Music Awards on April 30 at the Melbourne Town Hall. This morning APRA also announced that under the event’s music director Kate Miller-Heidke, performing are The Rubens and Dean Lewis, Middle Kids teaming up with JP Shilo of Hungry Ghosts, Fanny Lumsden teaming with Henry Wagons, rapper and spoken word artist Radical Son, electronic pop duo Electric Fields and theatrical pop music singer and songwriter Max Sharam.